Before the Spinach and E.Coli outbreak , which created a havoc here in US, resulting in recall of tonnes of fresh spinach from the grocery stores could be soon forgotten, our 'Love Apples' a.k.a Tomatoes are bitten by the bacteria bug! As The New York Times reports - Fresh Tomatoes have been pulled off from stores like Mc Donalds, Wal-Mart, Burger King and many other popular food joints due to a bacteria called Amid Salmonella. I strongly feel, its always better be safe than sorry. Be careful while consuming 'uncooked tomatoes' for a while, atleast till the FDA determines whats the cause for this outbreak! 1. Heat oil in a pan, add garlic and onion. Saute for 5 mins until golden brown. Add cumin powder and coriander powder. Cook for 1 more minute. 2. Add vegetable stock and chopped potatoes. Boil and simmer for 10mins. Add chickpeas and Cook until tender. 3. Mix in cornflour(with little water, make sure there are no lumps!) , sesame paste, seasoning. Cook for 2 minutes and blend together. 4. Add to soup with spinach. Bring to boil for couple of minutes. Season with salt & pepper. Off this warm soup goes to Lisa's No Croutons Required event, this month's theme is soups or salads featuring legumes. 1. I hate waking up early in the morning.. I am an owl - a night person! 2. 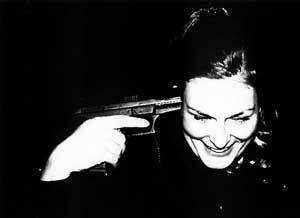 I hate people who offer their unsolicited advices. typically I stay away from them, as I easily get influenced by other's remarks! 3. I hate being Lazy, but at times (or should I say most of the times!) I AM LAZY, even - to pick up a glass of water! 4. I don't like people who break their promises, unless they have a genuine reason. If u can't do it, then why create hope in others?.. Don't u see a point?? 5. Smoking - this is one habit which gets onto my nerves. 6. I hate Indian Politics - I strongly feel, its a garbage full of leaders who are good for nothing, corrupted people! 7. Loud Music - I can't take music that too loud, esp the gaana-bajaana during marriages until early mornings!! .. I guess, am done...can't think of any others right now! By rule, I have to tag just 4, but am gonna tag all my fellow recipe marathon runners - Laks, Anu, Raaga, Dhivi, Ranji, Swati, Divya, Valli and Bhags for this Meme! Coming up next - Palak Khasta Roti for Valli's Roti Mela! Now why does this soup sound so familier - wasnt this planned for the garlic event? 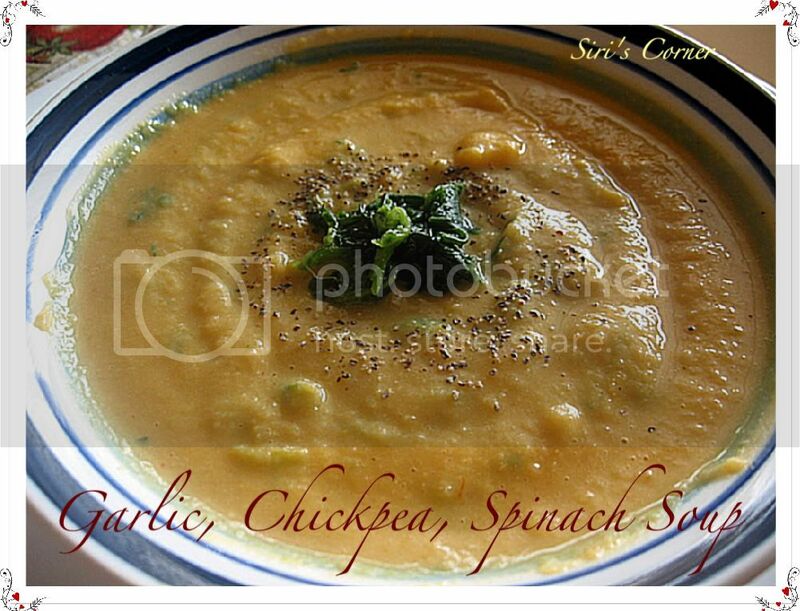 mmm..i remeber it like yday when we discussed this soup - i love it - its so delicious and healthy too. Soup looks so rich and creamy.Very simple recipe.I don't like croutons in soups, 'coz i have rush eating those fast before they get all soggy in the soup :D.Nice meme..only 7 huh? thats one lovely soup dear siri...and nice reading abt what you hate...will do it sometime..I have so many pending..that I have lost count!..so bad of me right! I love soups, this looks delicious. @ Kalai: Yup got ur email Kalai, just checked it! Thanks and glad u liked the soup!! @ Jayashree: the effect is localized to just 17 states Jaya, but who knows.. better be safe than sorry.. No Tomatoes this weekend! @ Valli: Glad u liked the soup valli. even I have Laks fridge Meme, pending for almost 7-8 months.. But, I wary at displaying my fridge..will post the khasta roti soon!! @ Ashaji: Homegrown are 'the best' any given day ashaji. Lucky U! @ Ranji: Thanks Ranji. glad u liked it!! Very different soup recipe Siri. Will try it out soon. a different soup indeed, Siri! Looks delicious. Nice meme too. That looks good..I'm always looking out for soup recipes so gonna book mark this one. Thanx! I love soups,it looks delicious. Lovely warming soup Siri! 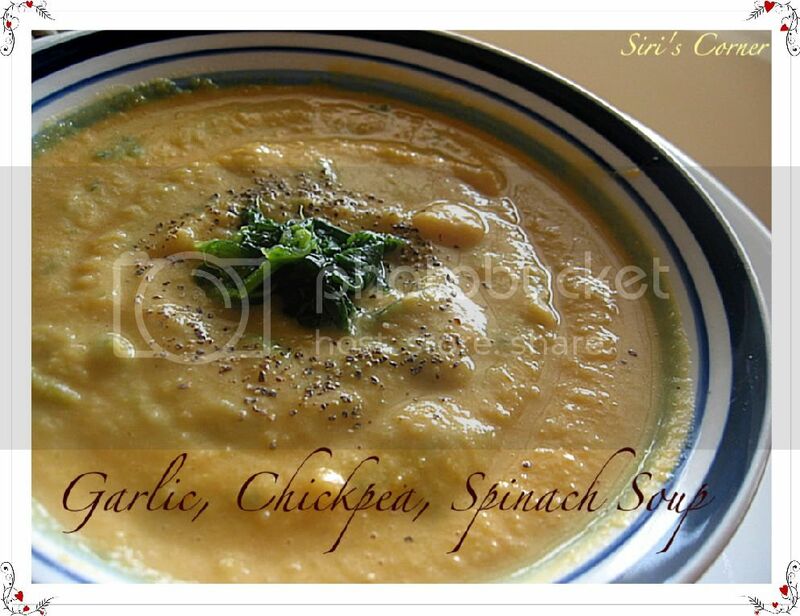 sounds delicious...right now its so hot here,can only think of cold soups! Nice soup,looks so comforting...its very different. hmm.. siri.. I could do 27 and still the list would go on... the chickpea soup looks comforting, Im not a chickpea fan , can we substitute it with anything else ? @ Dee: I think we can use any kind of 'lentils' instead of chickpeas Dee. I am not sure (kidney) beans wud taste good with garlic and spinach combo! Ughh Salmonella, I was soo disappointed to know tomatoes were the victims this time...can't do without these red juicy buddies!